-------------------------------------------------SELLERS: Make Sure You See #13 in the RIGHT QUESTIONS button. CA AGENCY LAWS ARE DESIGNED TO PROTECT BUYERS & SELLERS FROM FRAUD. what makes the High End more dangerous for Buyer & Seller consumers. In 2014 California alone had 435 "Outright Revocations" of Real Estate Licenses. ALL THE SERIOUS BUYERS IN TOWN! which you were planning on doing, and probabgly preferred to negotiate with the buyer if need be, rather than experience delays for a slightly higher price. Front Yard with a "Rider" on top saying "COMING SOON." WHY ...? ---------------------------------------------------------So BUYERS riding by will call them DIRECTLY. THESE Buyers ... they happily SHOW the house. WHILE AGENTS from other companies with Buyers in their Cars - who ALSO see the Sign and WANT TO SEE INSIDE YOUR HOUSE ... mysteriously CAN'T SEEM TO GET THEIR BUYERS IN THE DOOR. ................................................................................................................................"Because the House is not ACTUALLY LISTED YET." --------------------------------The ONLY way THESE buyers can get in is to DUMP their Agent, or approach the SELLER Directly with their Agent, and hope the seller has some sense. non-competitive Offer - or gamble on waiting until the Listing Agent ACTUALLY "LIST" the property on the MLS, and see if they can do better? ---------------------------------------------------------------------------------------------------------------------------How would you like it ...? 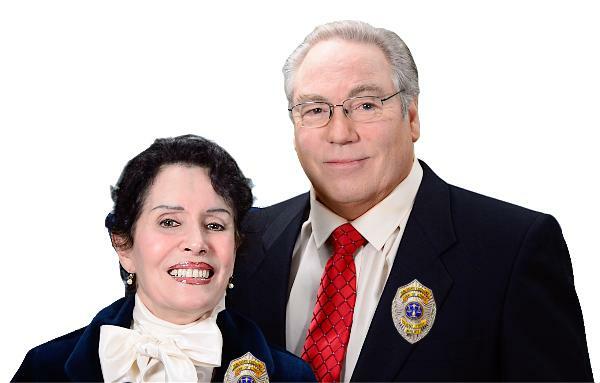 ----------------------------------------------------------Real Estate Excellence, Inc believes NO Fiduciary PROFESSIONAL should EVER intentionally put their Client in this position. --------------------------------------------------------------------------------------------What happens to the SELLER ...? --------------------------------------------------------------------------------------------------------------The SELLER is more likely to get a LOWER PRICE than they should have. --------------------------------------------------------------------------------------------What about the LISTING AGENT ...? --------------------------------------------------------------------------------------------------------------The Listing Agent gets the FULL COMMISSION. are still going to be going "At It " once they're relaxing in their Hotel room bed that night ... looking through the LOCAL Real Estate Magazines you see for Free everywhere on local stands. ---------------------------------------------------------------------------------------------------------------And TAKE them to see Your Home! -------------------------------------------------------------------------------------------------Even if they DO have to Split the commission in half. ---ff----ss-ss-----------------------------It's the ONLY Straight Route to the Heart of ALL the Real Serious BUYERS Already In Town and "Raring to GO ..."
------------------------------------------------------------------------Who happen to be in all the OTHER Agents' cars ...! trusted had shown it to them. Only, it had another company's Sign in front of it. And now they're all moved in. --------------------------------------------------------------------------------------------------------And THAT kind of regret ... is called Buyers Remorse. -------------------------------------------------------------------------So that the REALLY Serious Buyers already in town are SURE to AT LEAST see a "Picture" of your home. -----------------------------------------------------------------------------INSTEAD of leaving it to a "willing" Agent or Broker Promising MAXIMUM advertising to get your Listing. ----------------------------Only, the MOST Expensive Advertising IS the Local Magazines - and you're likely to see the word "Rotational" when it comes to THAT kind of advertising. company. Take a look at yourself. Aren't we ALL a little unrealistically "Hopeful ..." when it comes to "how much" OUR house is worth? But, the critical consideration for SELLERS is ... HOW MUCH is it going to cost you NOT to have your FULL PAGE AD in front of the truly serious Buyers in Town? properly support that kind of venture. Assume you have a house worth $2,500,000 according to accurate SOLD comps. You'd "like" a quick sell, but you're not in a huge hurry, so you put it on the market at $2.5 and plan to hold firm. down to $2,250,000. Anything less doesn't really seem persuasive, and you're not really AT ALL patient anymore. The Listing is "aging" but the market's still good. You feel you're finally on at "market"
... so much wasted time ... your plans are on hold, and after all of THAT ... you're only back at square one. resting periods where they've been taken off the market?) You can't. YOU have no way of knowing or verifying THAT kind of "history" on Comps you're relying upon ... because the info isn't public. information to make a reliable decision? Because "information" is power. And certain Laws allow MLS to keep "certain" current property information - available ONLY for its members. talked you out of for "security" reasons. You're becoming uncomfortable and don't really know what to believe anymore ... but all you can do is go forward and hold a positive thought! surely hasn't worked. Maybe you're getting impatient ... or the market is falling ... or you have to commit to your future plans soon or lose another opportunity. How's your patience going? ----------------------------------------------------------------------------------------------------Isn't it really time to lower the price again? ----------------------------------------------------------------------------So you bite the bullet, Drop the Price from $2.25 ... Down to $2 and it really hurts. ----------------------------------But the house sells almost right away to a lucky Buyer, or some Investor who's been watching on the sidelines, or maybe even to your Broker. ------------------------------------------------------------To Control Your Own Marketing. Carmel Magazine where we live or HOMES Magazine type publications. ------------------Is that a little bit better? Is that pretty inexpensive to Make Sure you're MAKING SURE you're being seen by ALL THE SERIOUS BUYERS IN TOWN EVEY WEEKEND? better chance of SELLING your house in the FIRST 6 months At FULL Price ... with those FULL PAGE ADS in the magazines? sure they have every opportunity to at least CONSIDER your property. than to leave a Bad Taste that causes people to pigeon hole you in their LEAST favorite category. mind ... while they're in yours. Don't be "too smart ... by Half." Win the BIG battle. worthless, and you don't want any of YOUR Buyers DIVERTED with insincere "Scheduling excuses" as to showing YOUR house ... to solve your Broker's "Other " problems. while HOPING a"Right Buyer" shows up for THEM...! (And ESPECIALLY if you have a Cherry House that's easier to sell.) Will you ever know? AGAINST it "so YOU'RE not bothered?" Ask yourself ... do you REALLY not want Buyers in All the other Agents Cars who might ride by ... NOT EVEN KNOW YOUR HOUSE IS FOR SALE? and hard on that question before you find your head simply "nodding" in agreement to these legitimate concerns - without truly understanding the conscquences. --------------------------------------------------COMPARED to the ACTUAL number likely to be In Town In all the OTHER Agents Cars ... TRYING to find exactly what you have to sell? "Office Exclusive" - "Coming Soon" Listing) or an agent who HAS you on the MLS - but is treating YOUR Listing "as if" they have a Pocket Listing - are far more on One side, than the Other. -------------------------------------------------------------------------And FAR Less Beneficial for YOU ... than the obvious benefits provided by an Open Market. -------------------------------IF... you have that FULL PAGE AD in the Big Local Magazine - where ANY Buyers in Town will find you NO MATTER WHAT - and ask their Agent to get them IN. -------------------------------Rather than having endless Other Agents BUYERS knocking on your front door, or sending letters with complaints about NOT being able to GET IN to see your house! -------------------------------Because THAT could easily be interpreted by a court of law as a clear violation of their Fiduciary Duty to YOU ... the Seller. -------------------IMAGINE SOME OF THE BIGGEST AGENTS IN TOWN LOSING THEIR LICENSE TO SELL REAL ESTATE ... FOR NOT SHOWING YOUR PROPERTY. listings. YOU HAVE TO DO IT to make sure the job is done RIGHT - and you may even want to try more than one venue. -----------------------------------------------------------------------------------------------------------------THE WAY YOU WANT THE JOB DONE. ---------------------------------------------------------Instead of YOUR house that ISN'T in their inventory ... so they DON'T have to split that commission in half. -------------------------------Your Solution: The BIGGEST, SHINIEST Local Real Estate Magazine in Town on all the Racks, and in Hotels for Free. ONE Time if the house doesn't sell. And you'll be kicking yourself later if it happens to you. -------------------------------------------------------So NOW ... they NEED to Split that Commission by showing any other company's Listings to get a sale at ALL. company that produces a Ready Willing and Able BUYER who makes an offer that's accepted by the Seller. --------------------------------------------Which is simply going to make YOUR HOUSE ... The Very LAST HOUSE Agents are going to be taking their clients to ... if ever. -----------------and be SOLELY RESPONSIBLE for all aspects of your Real Estate needs. effort to both share and implement this "CLIENT FIRST" Business Philosophy nationwide. best meets their "Criteria" - rather than being influenced by an Agent's financial "preferences." in front of ALL the serious BUYERS "eyes" In Town. the commission in Half ... while YOU wait. Wars that ensue can lead Buyers to walk away in disgust, while homes are left unsold. -----You don't sell a house every day and it's the Secret Sauce you've been hoping to find. or any other parties whatsoever. 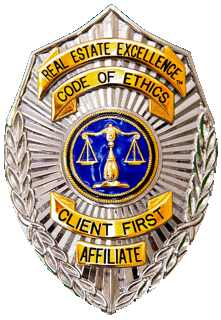 *Real Estate Excellence, Inc. may receive compensation from Affiliates for Referrals. -COMPS in the area. This helps you decide on the Listing Price you want to ask. -------------------------------------------ALL Real Estate Is LOCAL. Knowing you will NOW know exactly what to watch out for.